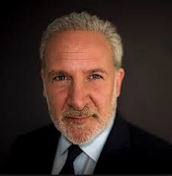 Peter Schiff On The Markets: Investors Are Fearless! On CNBC this morning a prominent asset manager boasted he is buying U.S. stocks because investors are so fearful of an inverting yield curve and that the 2nd longest economic expansion is nearing its end. While investors should fear that and more, they don't. Investors are fearless!